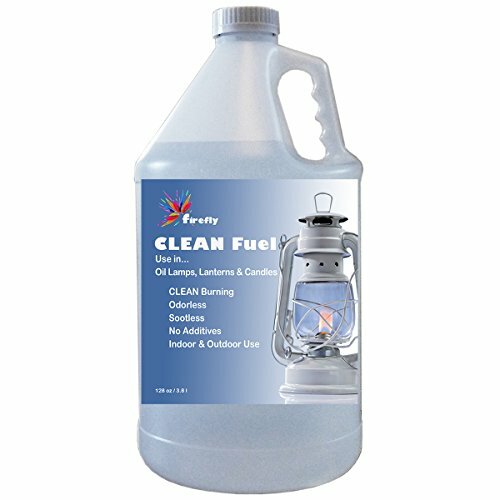 Firefly Fuel CLEAN lamp oil is a DIRECT REPLACEMENT for paraffin lamp oil. NEVER MIX FUELS as mixing will change burning characteristics. Firefly CLEAN lamp oil is smokeless, sootless, virtually odorless, provides a great flame and is longer lasting than paraffin oil. Firefly CLEAN Fuel is also safely packaged using childproof caps. 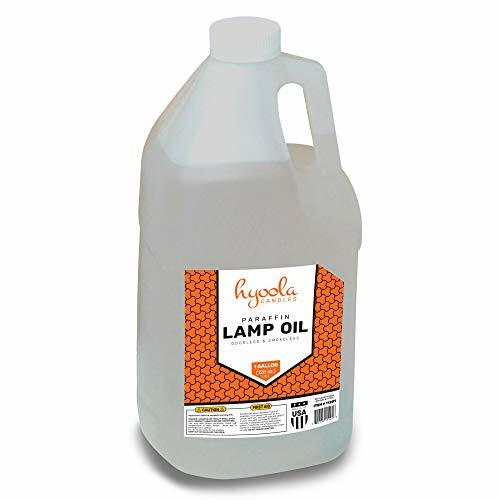 Note: We compare our CLEAN Lamp Oil to OUR Paraffin Lamp oil only which is the highest grade you can purchase. A PREMIUM PRODUCT FOR SAFER FLAMES This Paraffin Lamp Oil by Hyoola Candles is processed, refined and distilled more than traditional kerosene to produce a light source suitable for both indoor and outdoor use. Able to be used with any Lamp Oil wick (Cotton or Fiberglass) , this oil fuels a smokeless, odorless flame. Now you can kindle your lights, light your lanterns and more without the soot or strong, unpleasant odor of kerosene. VERSATILE USE While gentle for indoor and home use, Hyoola Candles's Paraffin Lamp Oil is also powerful for outdoor venues. Light your tiki torches with this oil for outdoor barbecues and pool parties. Create beautiful, glowing centerpieces for weddings and fancy events. Light the pathway to an outdoor wedding canopy with a series of flames fueled by this oil. Illuminate restaurant tables and buffet counters for a romantic touch. Keep a bottle of Hyoola Candles's Paraffin Lamp Oil in store and be prepared for any power outage. Allowing you to light oil lamps and lanterns. LIGHT UP IN STYLE Hyoola Candles's Paraffin Lamp Oil comes in an assortment of six different colors so you can customize your glow to suit your taste. How to Achieve the Best Performance Don't Mix Different Fuels. Remove old residual fuel from the fuel reservoir before filling with Fuel. You certainly don't want to mix fuels together. Mixing fuels will change their burning properties and may cause excessive smoke. Use a Clean, Uncontaminated Lamp Oil Wick (cotton or Fiberglass). The wick is the delivery vehicle for the fuel. If the wick is contaminated with old fuel or water, it will not perform properly. Keep the Wick Height to a Minimum which Inhibits Smoking and Conserves Fuel. The wick should be as low as possible. This will reduce smoke, provide a more consistent flame and conserve fuel. IMPORTANT: Even the purest oil smokes if used improperly. Whether you use an oil lamp for everyday lighting or depend on one for household emergency purposes, you can keep your lamp burning brightly with a Lamplight Flaretop Chimney Replacement. This high-quality 8.5-inch tall glass chimney has a three-inch bottom opening to fit most large size oil lamps with 3 diameter burners. Its sleek design helps control airflow within the chimney to improve the flame characteristics and reduce flickering. 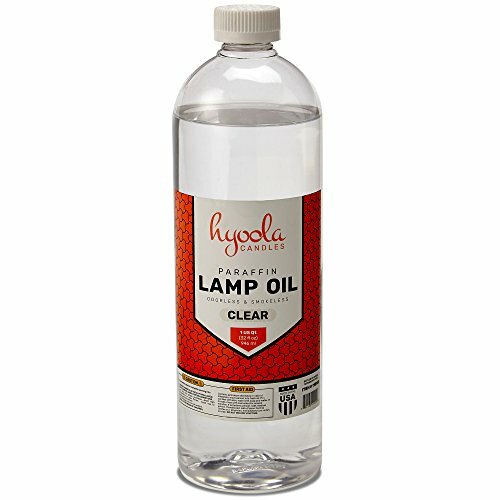 For best results, use with oil lamps that use Lamplight Ultra-Pure or Medallion Lamp Oil. Lamps and lamp oil sold separately. Latest model galvanized steel lantern, with high quality powder coat painted finish for increased rust resistance! The paint is heat and scratch resistant. Authentic Tag shows "Original Made in Germany". Cold Blast Hurricane Lanterns work in all weather conditions, and burn 2x times brighter compared to standard table lamp of equal wick size. The FEUERHAND #276 hurricane lanterns are produced in Germany since 1902. 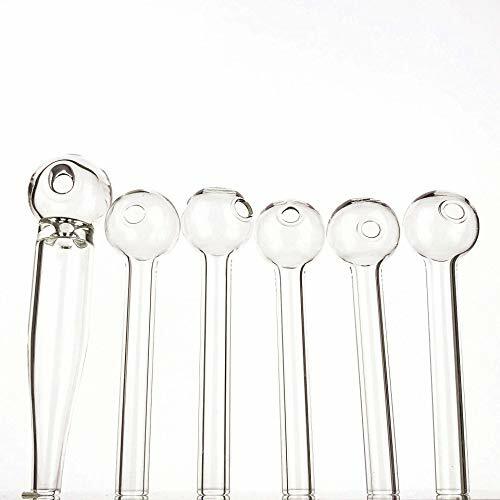 Exceptional quality and finish, all parts including the glass are German made! A durable and versatile kerosene lantern. Great for emergency or ambient light. Indoors, out on the patio, or camping the powder coat finish looks striking. Due to the special developed burner element there is no flickering and sooting from the flame. A special seal inside the tank ensures there is no risk of leakage. Only the FEUERHAND hurricane lantern is equipped with the thermal heat resistant SUPRAX globes which will not crack even when touched by rain or snow. Uses standard lamp oil. Fuel capacity: 10 ounces. Burn time: 20 hours. Average Candle power: 7-8. 100% Made in Germany, top of the line quality! Bright and economical, great for indoor / outdoor emergency lighting, patios, camping, off grid adventures. Full warranty, parts and service available from Vermont Lanterns (Fulfilled by Amazon). Vermont Lanterns is a Registered Trademark with the USPTO. 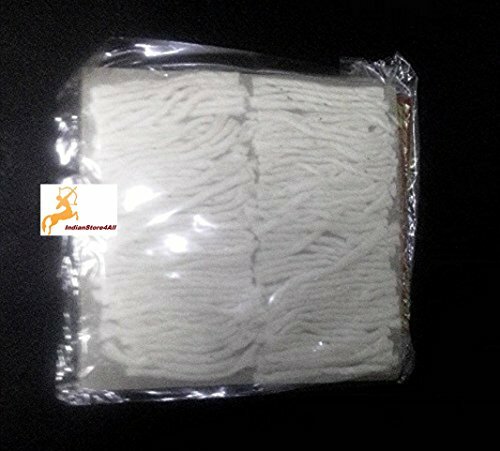 1 Packet of Puja Cotton Wicks (Jyot Bati)for lighting Kuber Oil Lamp /Akhand Jyot/Diya/Deepak For Religious /Spiritual/Meditation use This is a handcrafted packet of Indian Puja Cotton Wicks (Jyot Bati)for lighting Kuber Oil Lamp /Akhand Jyot/Diya/Deepak For Religious /Spiritual/Meditation/Lighting use No.of cotton wicks in 1packet ;100approx Size of the cwicks 7cms long Material : Cotton Weight of the packets ;10-15 grams approx PHOTO 2 and onwards ,Display how these cotton wicks are used or lightning ,meditation etc using oil and ghee. This packet of cotton wicks also known as jyot bati can be used as a religious accessory item .Also Add more elegance to your Puja rituals and Adorn your temples by lighting Kuber diya/deepak/diya/chirag using these cotton wicks which is a must for all religious ceremonies. It is also used in temples for lighting and prayer purposes. 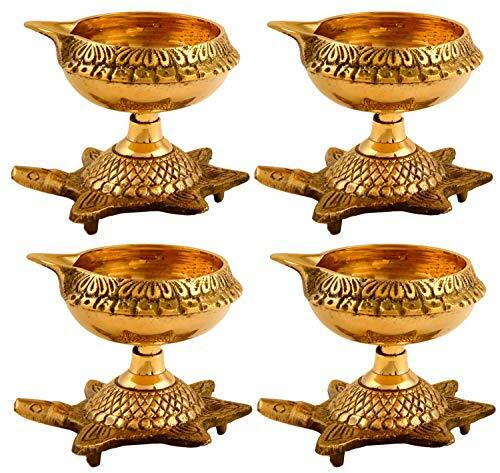 Also Commonly used during Indian festive occasions like Diwali and Navratras .It is used worldwide to light chirags/oil lamps for meditation and spiritual prayers and addeleganceto the home decor. It is a wonderful item for lighting and decoration at Festive times and to brighten up your house . Method to use these cotton wicks Place the wick in the oil lamp Put some Oil or clarified butter/butter oil(called desi ghee in hindi) Use a matchstick to light the tipof the wick with the remaining wic inserted in oil/ Wait till you see a marvelous sight of the oil lamp lighting brightly spreading ray of happiness,shine and positivity by eliminating the darkness around you. This brownish - red oil lamp is made from terra cotta and includes hand made designs that are similar to the style found in actual ancient types of hand held olive oil lamps. This is an interesting item that is also quite attractive, and a pleasure to have in your own home or offer as a special gift. This terra cotta replica of an ancient olive oil lamp is made in the same style as actual clay lamps used in ancient Judea or Israel. This lamp resembles the original lamps from Biblical times and can be used as were the ancient lamps, with olive oil and a fiber wick. "A mitzvah is a lamp," says King Solomon in Proverbs, "and Torah, light." Light is commonly used as a metaphor in the Torah and assumes three different forms: light as a tool used in life, light as a means of connecting to a higher place, and light as light. This lovely replica of an ancient olive oil lamp from Biblical times is great as an item to display in your home and is also a great way to light a room with a traditional ancient Jewish lamp. A fresh, delicate and subtle home fragrance that is a fleeting symbol of eternal beauty and is adorned with notes of bergamot, white musk and white tea. Essential Oil Warmer Frgrance Lamp, Electric Scented Wax Melts Candle Warmer & Essential Oil Heater, Black Metal Forest Design, for Home Decor, Yoga, Office, Spa, Bedroom, Living Room,etc. 1.Keep the lamp away from flameable items, such as paper 2.Don't let children touch the lamp 3.Could mix fragrance oils and water while using 4.Essential oils and wax block does not include in the package. 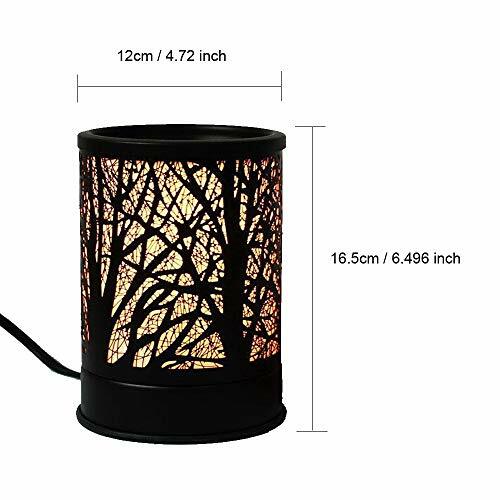 Uses as fragrance oil wax warmer and a night light. Place a wax or essential oil mixed with a little water on it, which can warm and melt scent wax, releasing favorite fragrance into the home. Also it will works as a night light, the soft light create a unique ambiance to any room. 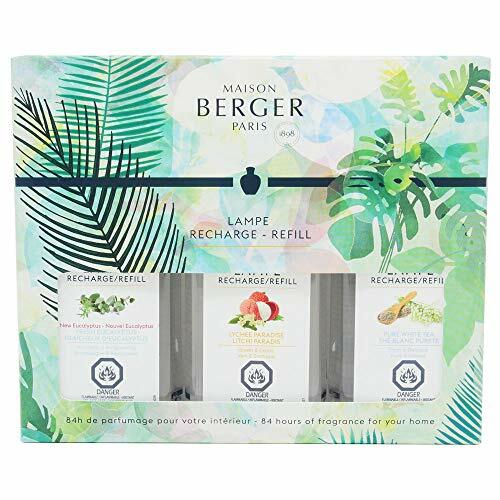 This light bulb built in the oil warmer acts as a safe heat source to melt fragrance wax cubes, providing a wonderfully inviting scent which will fill your home. Temperature stability, durability, not soot & smoke & flame--illuminated soft light provides a gentle glow. Classic forest design, Durable metal material. 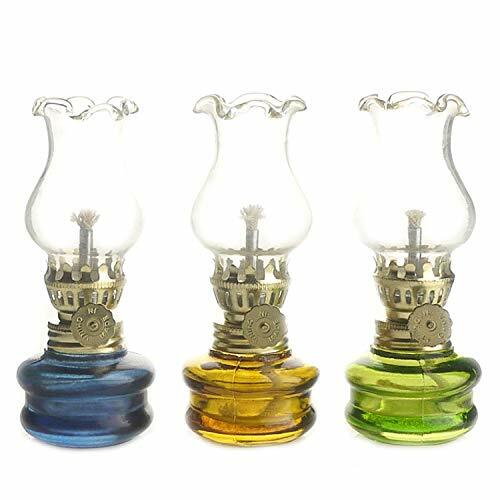 Great d cor for home, office, and hotel--just about anywhere and fully enjoy with this aroma oil lamp in leisure time. This wax tart warmer from Foromans fill your home with relaxing and aromatic scents. The plate where the wax is placed is made so that you can remove it for easy cleaning and to change the light bulb. The wax melts warmer is the best gift for family and friends. Securely packaged in bubble wrap or foam in box to prevent damage! Good price!! !